Don't worry, Kotaku! I haven't gone all Patrick Bateman on you! I realized that my apartment contains lamentably few red items, and so I had to make due with what I DID have...and that included a jumbo-sized bottle of ketchup and about half a cup's worth of red food coloring. Neo Deus adds, "Please pray for the roommate that was forced to take this picture." Why we would be concerned about your roommate? 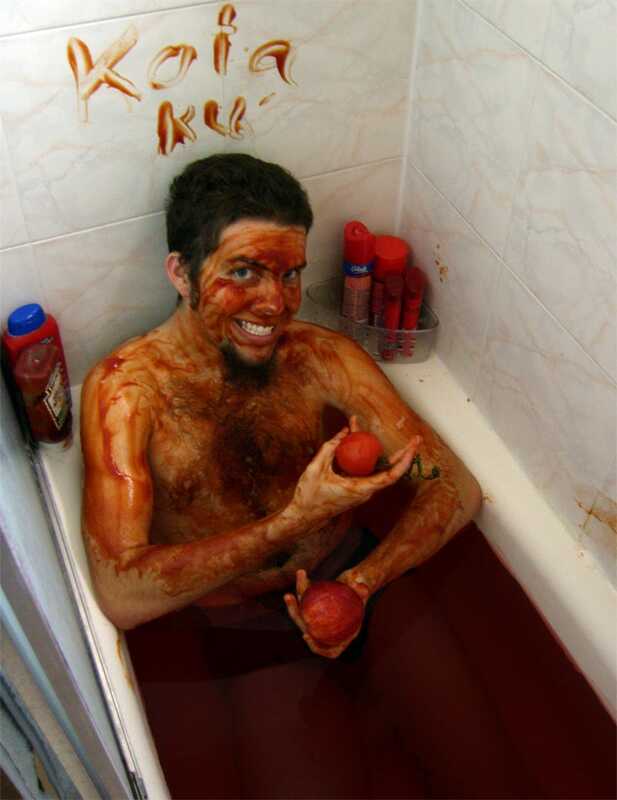 He's only living with some dude who smears his body with ketchup and takes baths in BLOOD.